This month is National Smile Month.A smile is one of the most powerful and emotive gestures we have at our disposal, so why not use it to make yourself shine. A healthy smile can make us feel better about ourselves and can make others respond more positively to us. Did you know that only one in four adults brush their teeth twice a day, and children as young as 12 are already suffering from tooth decay? Poor oral health doesn’t just cause problems inside our mouths. A smile is hugely important to our personalities, self-confidence, relationships and success. A ‘smile’ comes top of the things we first notice when meeting a new person. It can play such an important role in our lives, we should make it our top priority. These principles aren’t hard to follow, but people still don’t do these basic things! That’s why the national smile month message in improving oral health is so important. It gives everyone a chance, no matter what condition their teeth are in, to get involved and improve theirs and others oral health. We are passionate about oral health. After-all, it takes 43 muscles to frown but only 17 to smile! 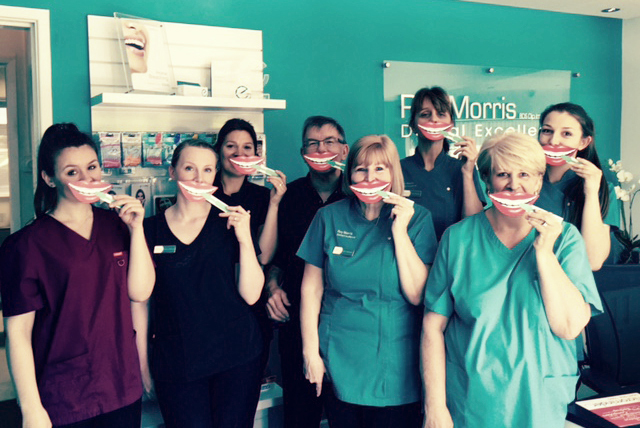 For more information on improving your oral health, give Roy Morris Dental Excellence call on 01905 778873 or email here, and get ready to smile.